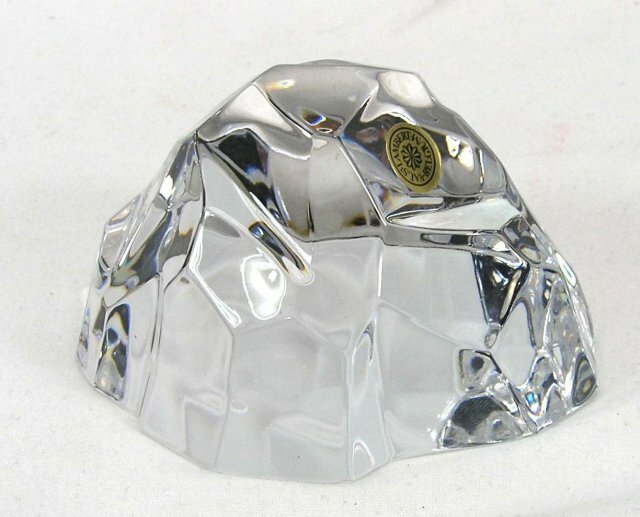 A very striking crystal clear signed Val Saint Lambert Belgium paperweight in the shape of a stone or rock that comes with original label and in its original box. 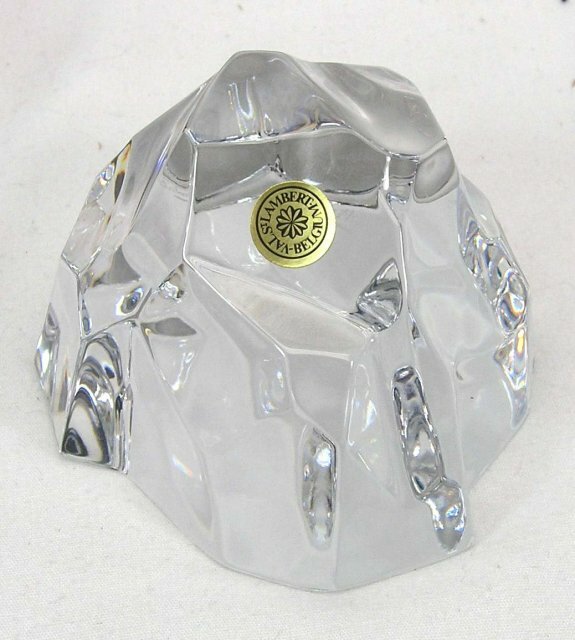 Paperweight measures approximately 3 7/8" x 3 1/8" and 2 1/8" tall. 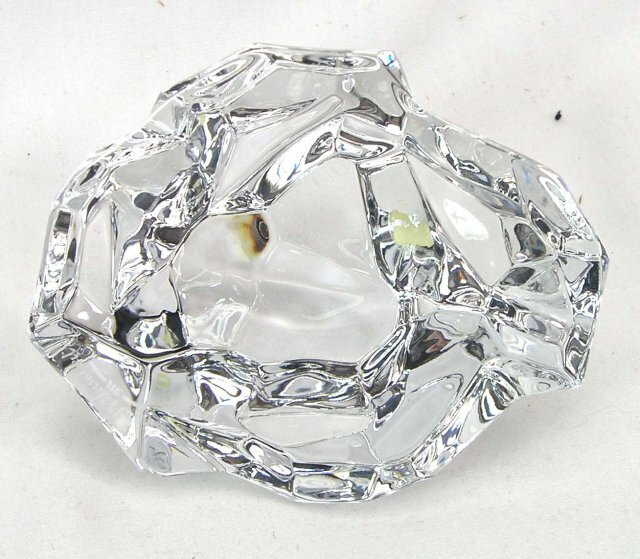 It is in excellent condition and sparkling clear! 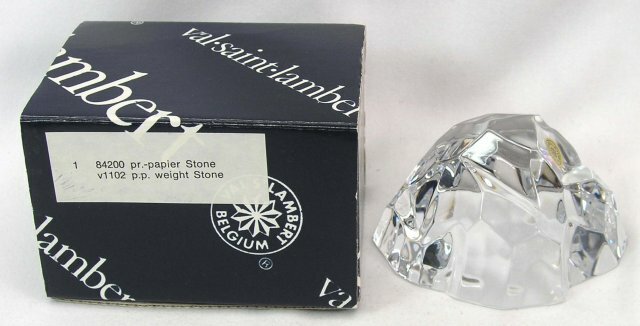 Items Similar To "Signed VAL ST LAMBERT Stone Rock Paperweight w/ O BOX"